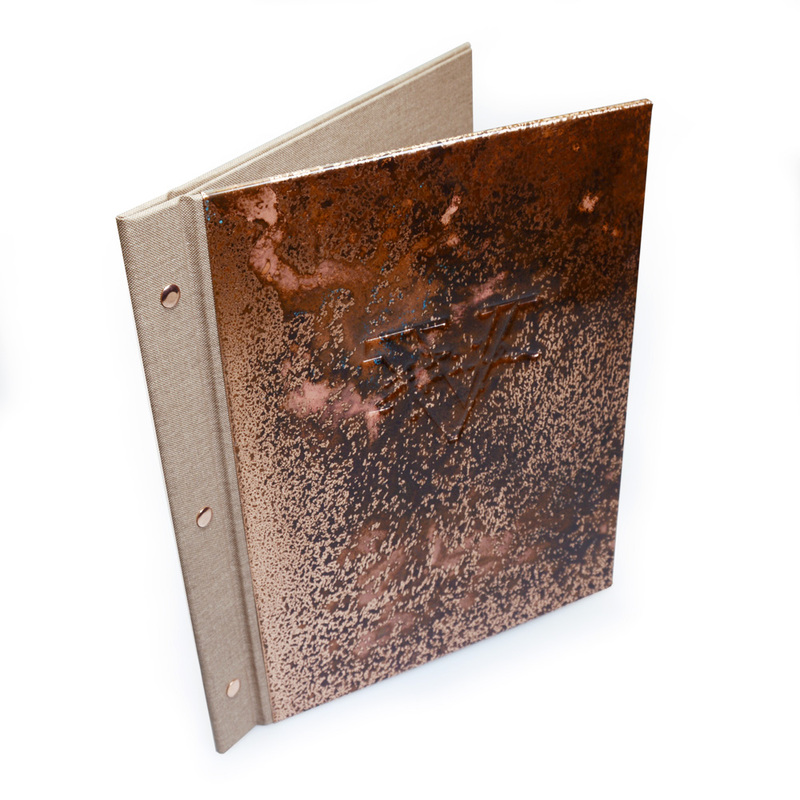 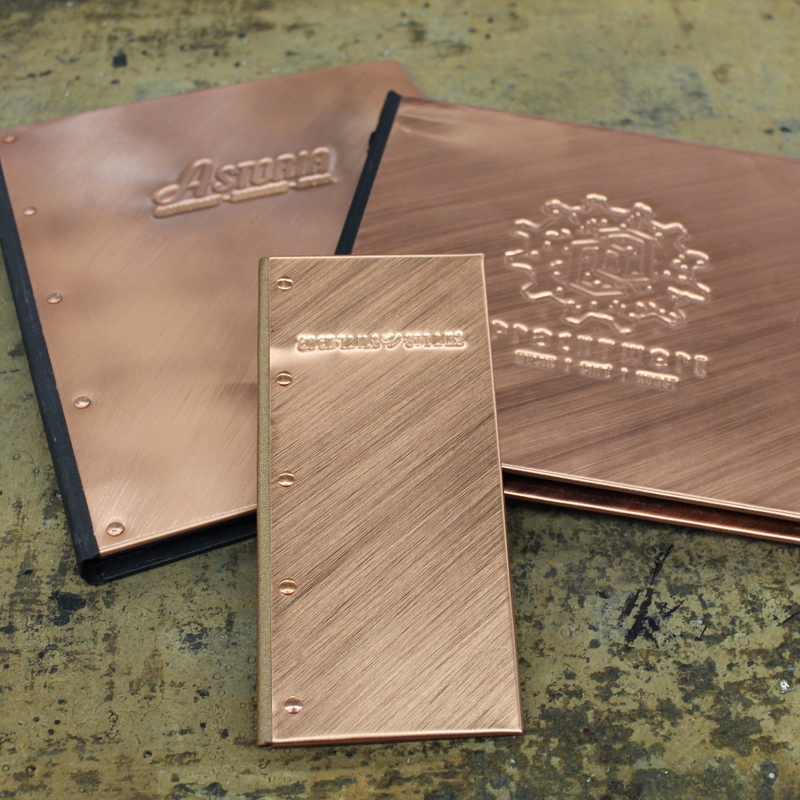 These unique metal menu covers are made using a real metal casing for an authentic and contemporary, industrial style. 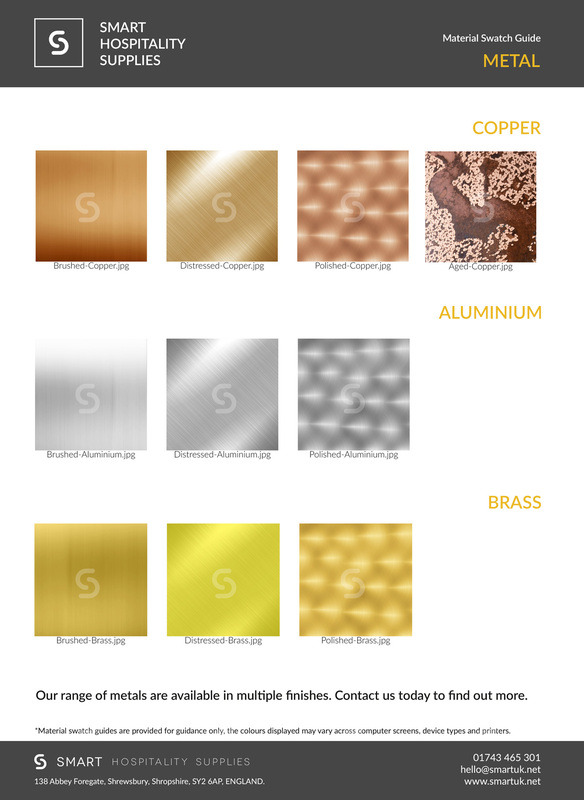 Designed for durability and increasing in appeal with age. 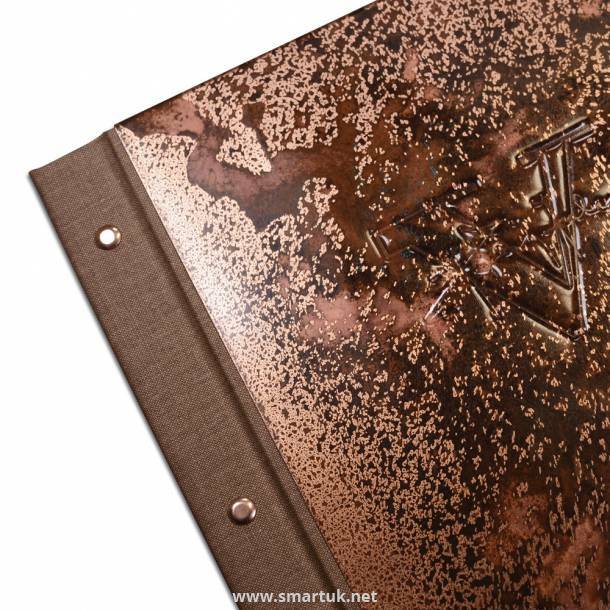 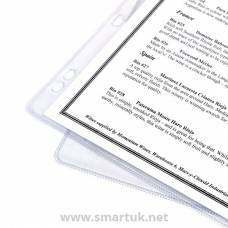 According to your requirements, the metal finish can encase the front or back of the menu cover, or both, if you prefer. 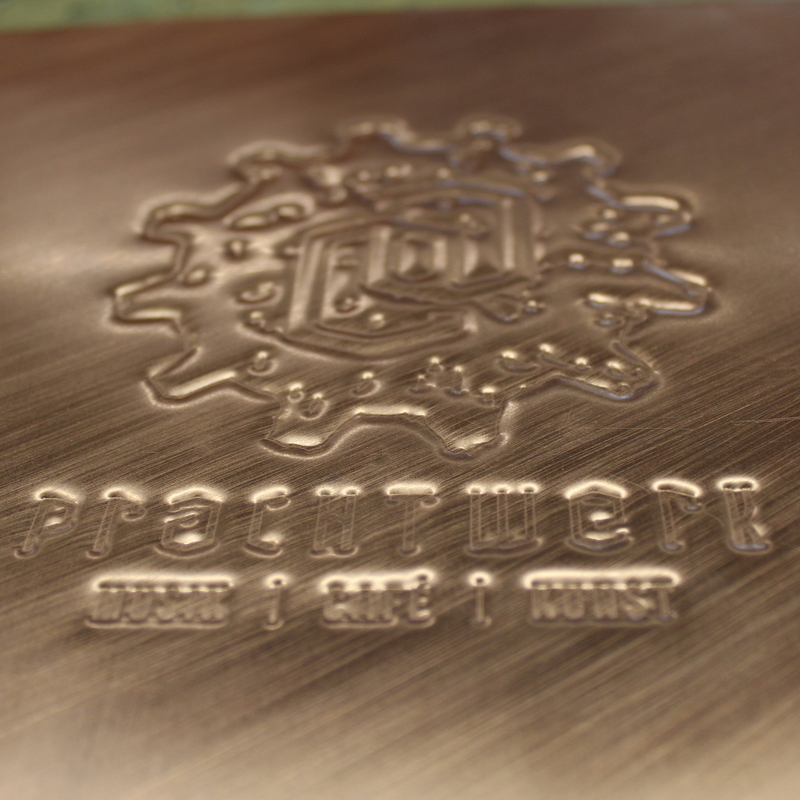 Choose different aging or brushed finishes for wildly different effects. 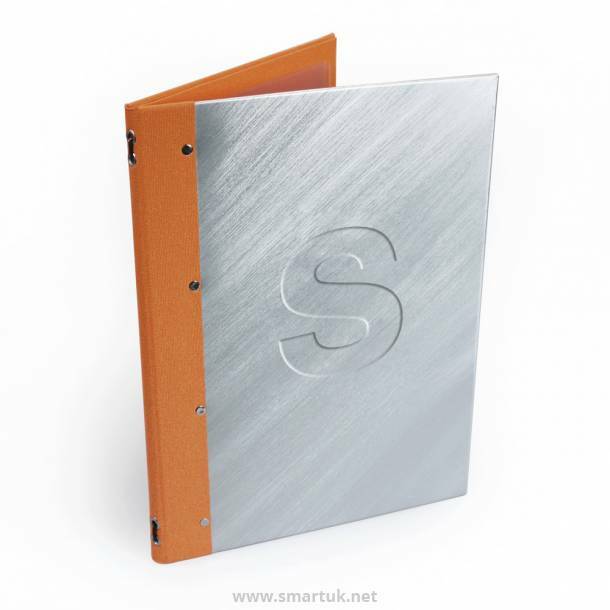 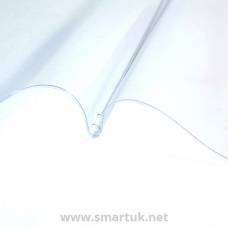 The spine and internal can be made with a flexible material of your choice. 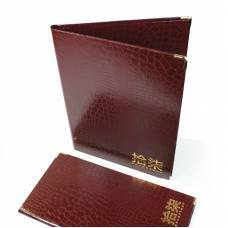 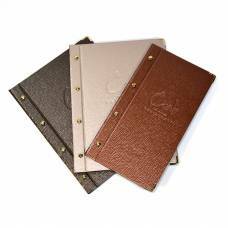 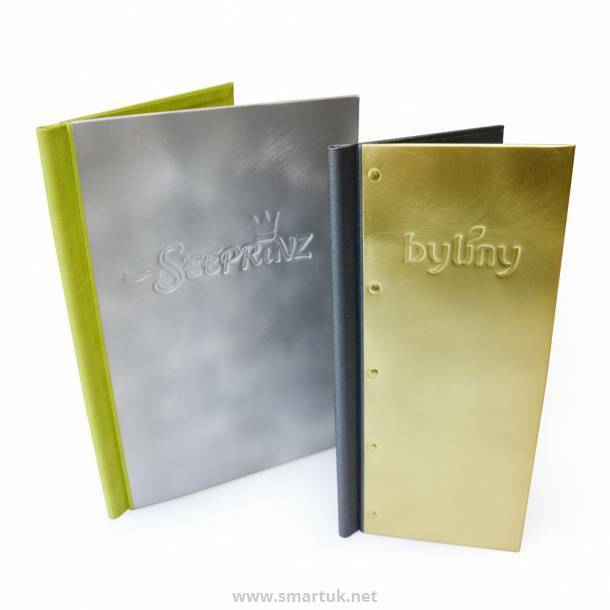 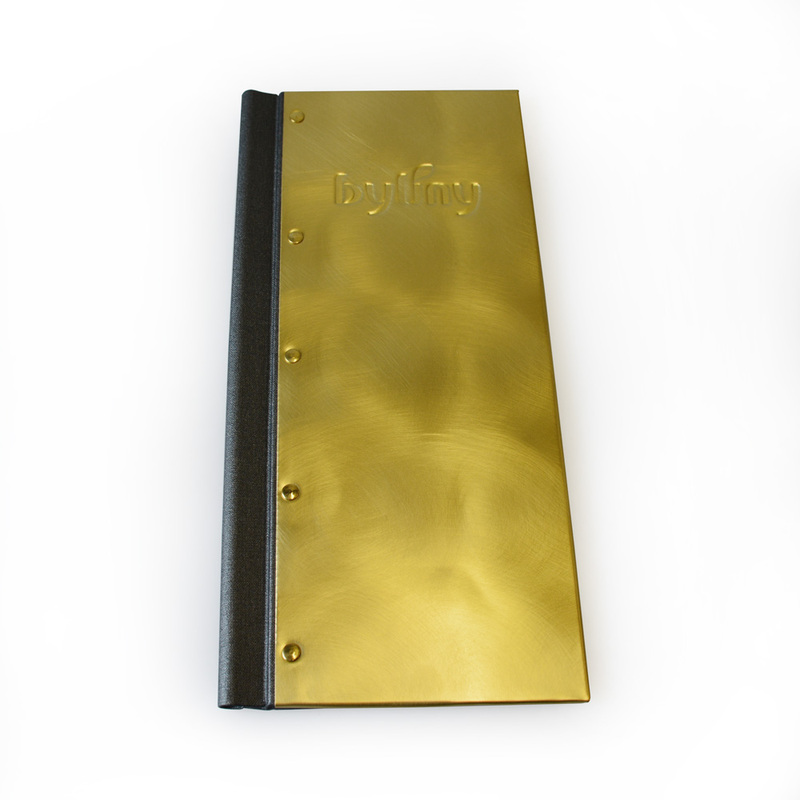 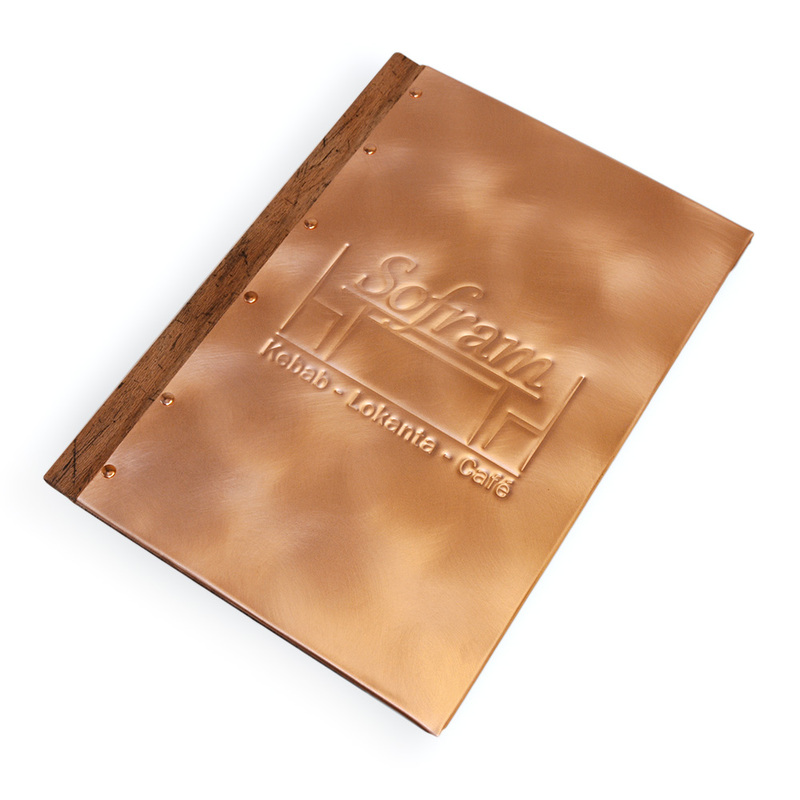 These metal menu covers are made to order allowing you to personalise and design them to your exact specification. 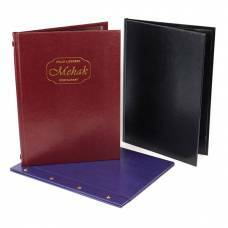 Discuss your menu cover project with our sales team on 01743 465 301.